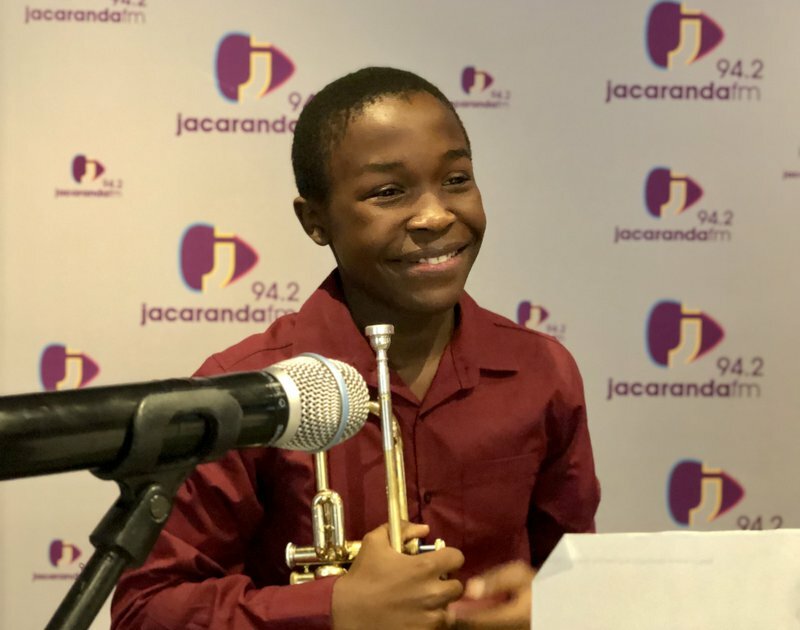 Mogale Lebethe is no ordinary 12-year-old, plays the trumpet and has never owned a trumpet before. Today, however, everything changes. BACKGROUND: It is not every day that a 12-year-old schoolboy, strikes up a friendship with a 51-year old woman. But then again, Mogale Lebethe is no ordinary 12-year-old and Colleen Kriel is a special kind of photoshop manager. Colleen took an interest in the young man’s music when he and his dad came into the shop to copy some sheet music. It was not for piano like she thought - no, Mogale plays the trumpet. He was entering a Unisa competition and needed to practice. After the competition, Mogale came to the shop again, to show Colleen his certificates: first place for classical solo wind instrument and runner-up for jazz/contemporary. With his winnings, of R500, Mogale was not planning on buying games or cell phone accessories. In fact, he is saving up for his own trumpet. He has never owned an instrument. And that’s why Colleen wrote to Good Morning Angels. Mogale and his band members started the festive chear on Friday morning by playing a Christmas carol. What happened next Mohale never expected. We hope this kind gesture from Good Morning Angels and Roman's Pizza will be the start of a promising career in music. SPONSORING: Roman’s Pizza will assist young Mogale to develop his music career, by funding his first very own trumpet and other necessities to the value of R35 000!